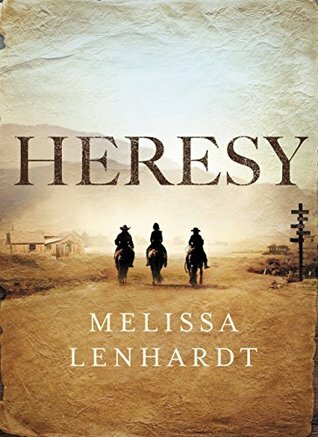 Not the kind of book I usually feature, but as you know I am a huge fan of the author’s Sawbones trilogy, and I was hopping up and down with excitement when I found ot she was writing another Western about an all-female gang of outlaws tearing it up across the the American frontier. “The Parker-LaCour Gang. The first and only all-female band of outlaws in the American West. Ignored during their time. Written out of history. Margaret Parker and Hattie LaCour never intended to turn outlaw. After being run off their ranch by a greedy cattleman, their family is left destitute. As women alone they have few choices: marriage, lying on their backs for money, or holding a gun. For Margaret and Hattie the choice is easy. With their small makeshift family, the gang pulls off a series of heists across the West. Looks good, I’m really liking that we seem to be seeing more Western-themed books. I like the idea of the all- female band of outlaws, and that they’re family too? Awesome. Oh nice! That’s a totally new to me one! Hope you love it once you read it! Female outlaws – yes please! I’m not generally a fan of Westerns, but this sounds interesting. Oh my! Gun-toting ladies turning outlaws? There is no way I will leave this book languishing on a shelf!!!! This looks so good – but I really should read her first series first – particularly as I own at least the first two.